Oh, It’s a Podcast presents…How to Get Away With a Podcast. Noah and Brian bring you all the ins and outs of How to Get Away With Murder’s not-so-thrilling Season 2 finale. Oh, It’s a Podcast presents…How to Get Away With a Podcast. Next week is the season finale, so things are naturally heating up on this week’s How to Get Away With Murder. Oh, It’s a Podcast presents…How to Get Away With a Podcast. The intrigue surrounding Wes’ history ramps up, and a special guest joins Noah and Brian to make sense of it all. Oh, It’s a Podcast presents…How to Get Away With a Podcast. It’s flashback week on How to Get Away With Murder, as we learn all about Bonnie, Frank, and Annalise’s happy, slightly dorky pasts. 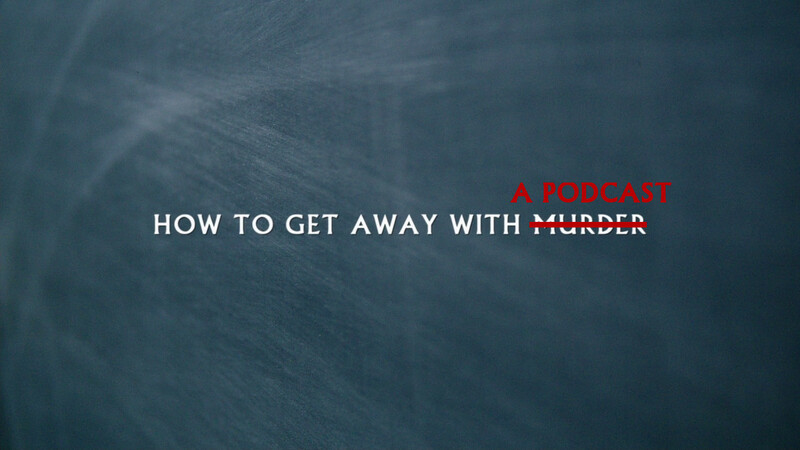 How to Get Away with a Podcast, Podcasts, Season 2#WhoShotAnnalise?, Episode 9, How To Get Away With Murder, Season 2, What Did We Do? Oh, It’s a Podcast presents…How to Get Away With a Podcast. Everything’s ready to come to a head after this week’s episode. Next week, Brian and Noah find out #WhoShotAnnalise?